Hey guys! I didn't do a monthly haul last month since I only bought 2 pieces of jewelry so this month's haul will be a collective haul over the past 2 months which is just more pieces of jewelries *Yikes! February was one of those months where I have absolutely no inspiration for clothing and I just did not fell in love with any clothes I saw during shopping trips. What a bummer! Resulting in me now experiencing a slight shopping withdrawal disease, symptoms which includes refreshing ASOS and River Island every friggin' hour and still not seeing anything I like. 1. 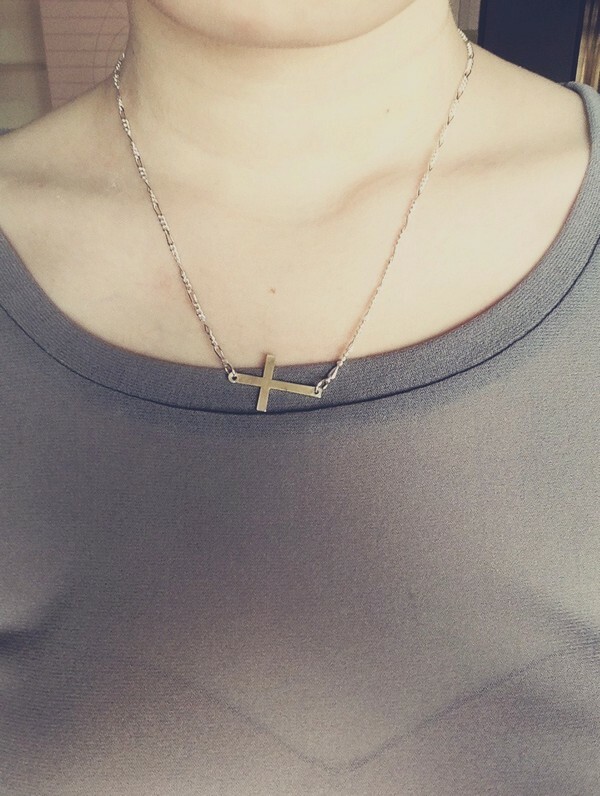 Cross Necklace from Nasty Gal. I love that the necklace is in a very crisp white silver so it sparkles slightly under the sunlight. The details on the chain are to die for. A must buy for me! 2. 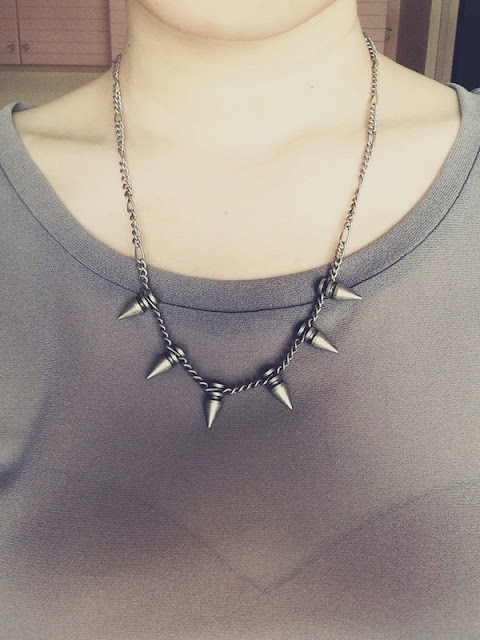 Spike Studded Necklace from Nasty Gal. 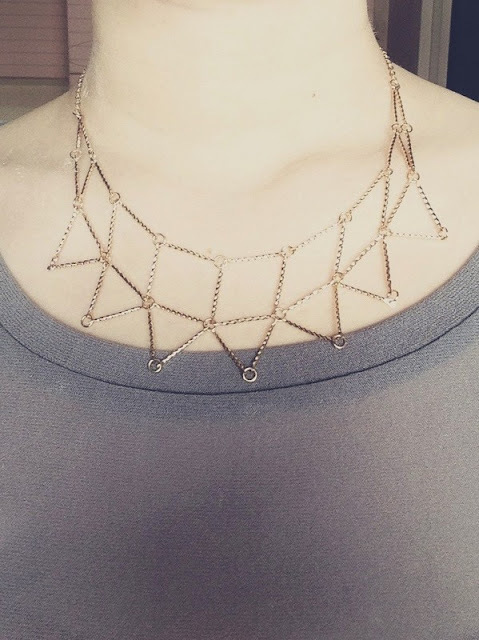 I adjusted the length of the necklace and did a post on shortening jewelry chain. This is the perfect length for me in my opinion, maybe a little shorter will do and I love to pair this with outfits to give it a strong/masculine look. 3. Gold Geometric necklace from Lovisa. I featured this in my previous post. It was on sale for $9 from the original $20. I love that this is a dainty yet complex piece that I dare to pair it with many everyday outfits because I tend to stray away from heavy statement pieces. 4. 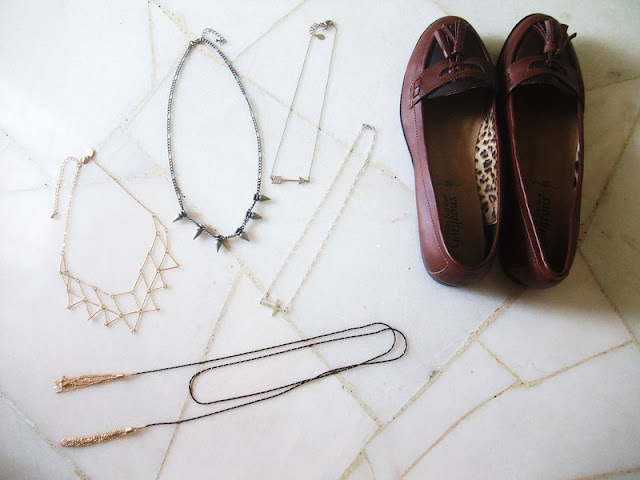 Long necklace with Gold Tassels also from Lovisa. On sale for $9, originally $22. I think this piece would be great with a long knitted cardigan or a maxi dress. I have always been a fan of long necklaces and this is a great addition to my collection. Both pieces should still be available in stores. 5. 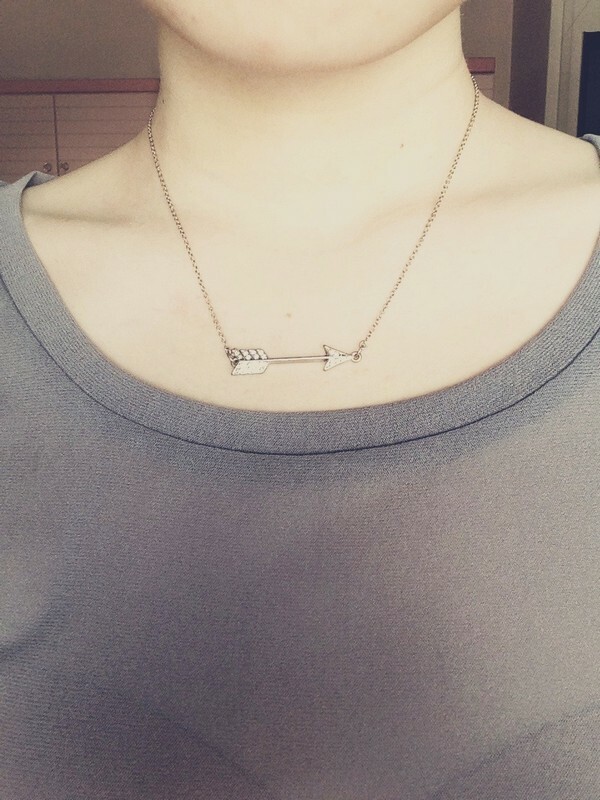 Arrow Rhine-stoned necklace from Accessorize. I got this necklace for $5 when Accessorize was having a 70% clearance sale. I thought that this necklace was very House Of Harlow 1960 inspired when they came out with arrow jewelry and I do like it a lot! 6. Loafers/ Flats from Newlook via Singsale. I got this for $14 when Singsale had a Newlook event which is already over boo! I remembered seeing the exact same pair of shoes in stores for $60 full retail price and I really liked it then. 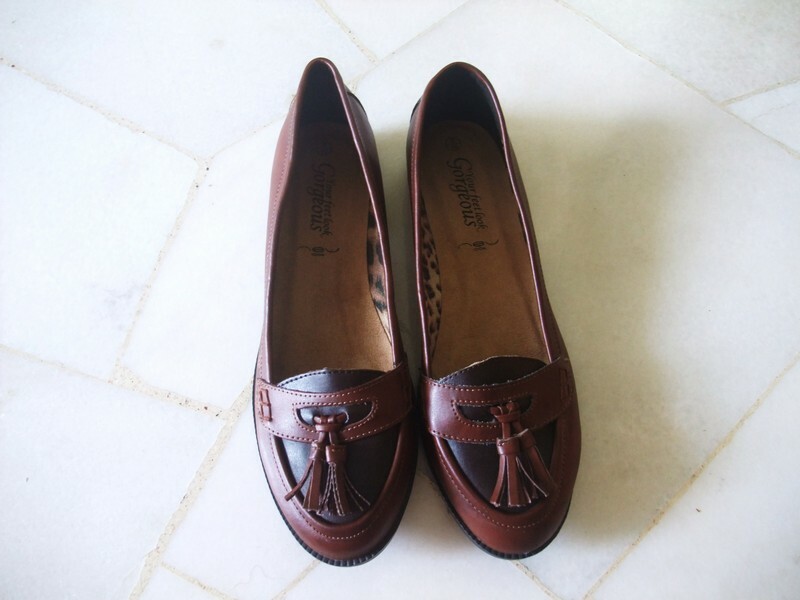 I have a few pairs of shoes that are already pass their wearable life so this shall replace my most worn shoes. I hope you guys enjoyed this small haul and I will see you again soon in my next post! If you have any questions or suggestions, please feel free to leave them in the comments below or email me at ar_enquiry@hotmail.com, they will be replied as soon as possible. Thank you guys for reading!